Hello hello! I've been looking through the old photos and found these that I really like! They're old, but since it's still freezing outside I thought why not share them with you, especially that they are so spring like! beautiful flowers, looks so chic!!! Great pictures as well! Love your looks and the flowers!!! lovely outfit ! you look so pretty! I want spring to come now !! This look is so very pretty! I love the new fade of flowers in your hair look! OMG... AMAZONG pics!!! Cute style dear!!! 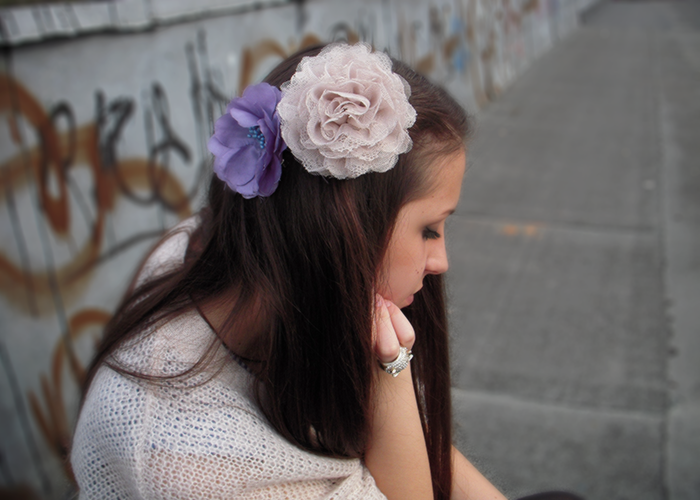 You are beautiful, I love the flowers in your hair! Your Blog is so great too. Just found your blog and I think that's it's beautiful! I'm now following you on both GFC and Bloglovin :) I'd love it if you could follow me back! It'd be great to keep in touch with you! 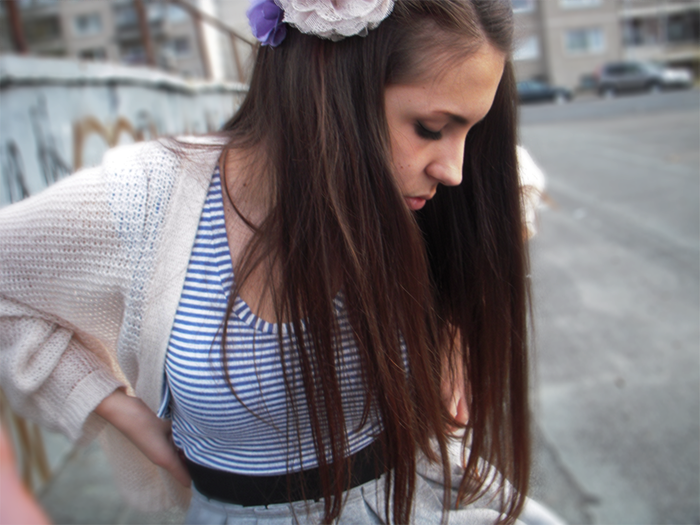 love your blog :) great pictures! Very pretty, I like how one of your flowers matches your cardigan, xoxo. Thank you for your comment, I'm your new follower! defiantly going to follow you! really good! now I'm your follower! Oh you are very beautiful! Great blog dear! Would you like we to follow each other? Just let me know! This is a very beautiful and so much Gorgeous flower girl blog spot I seen ever. Thanks to Owner of this Site to share it. Very Nice Post. I hope I see another beautiful post next time. Thank you.